Sweet Salvage on 7th: What's Red's Story? Today is a beautiful day of inspiration and renewal. 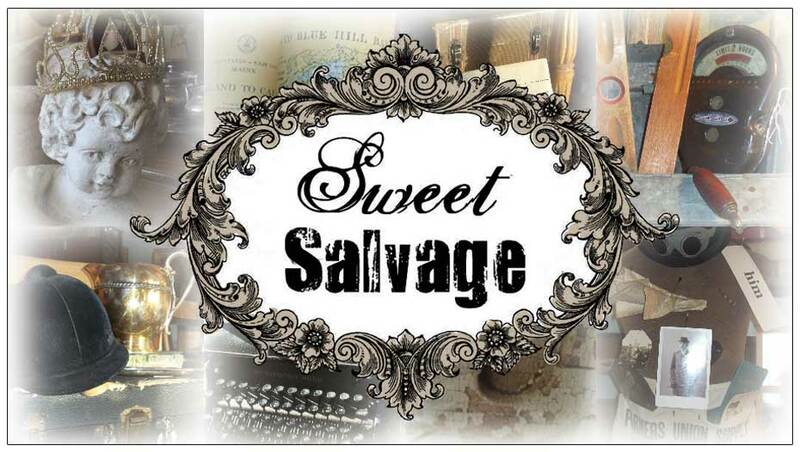 Looking ahead to this week's Sweet Salvage's Color Stories Event, the rejuvenation of color is fresh and uplifting. So many hues have been brilliantly displayed by the Sweet Gang. The color spectrum begins with Red therefore. so shall I.
Stephanie chose the book, Little Red Riding Hood. Using both literal and figurative context, she has created absolute storybook magic. The vignettes come to life as you wander through the forest and on to grandma's cottage. Great attention to detail is abundant as the color red playfully dances throughout her displays. It is magical. Robert chose the book, Big Red Of Meadow Stable (The Story of Secretariat). Traditional design blended with sportsmanship is a style he has perfected. Equestrian elements of the story are placed well throughout his vignettes, adding life to his story. Robert incorporated various shades of red, a welcoming blend. Kim choose Paris in Color, for one of her inspiration books . Using all four colors (red, blue, green and yellow), she created divided color stories for each. In the vignette dedicated to red, Kim transforms the setting into a lovely Parisian dining hall and parlor. Authentic French treasures naturally play well with the red as it is enhanced by warm wood tones - Creating an inviting space for entertaining, indeed.